On his last day in office, town marshal Will Kane gets married and plans to retire on a farm but news that paroled killer Frank Miller is coming to get revenge on Kane changes the marshal's retirement plans. Former Marshal Will Kane returns to Hadleyville a year after he resigned and finds the town in the grip of a tyrannical Marshal who abuses his power. A small town marshal becomes the target of revenge of an outlaw due to arrive at noon and gets the cold shoulder from the local residents. 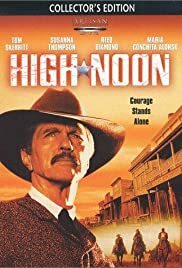 A contemporary remake of the 1952 Western, 'High Noon'. Comparing this movie to its predecessor is unfair but unavoidable. What I so liked about the old version was how much Gary Cooper loathed violence and how he was left completely isolated to face a duel on his own. None of this showed in this new version and sort of left it without much purpose. 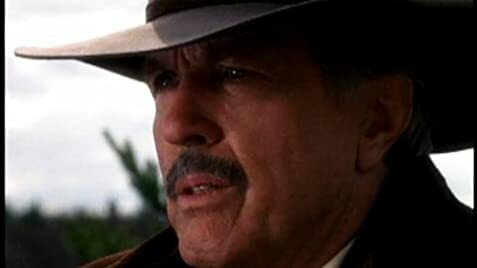 That said, I really think Tom Skerrit did a great job acting what was left of Will Kane's character. Casting Dennis Weaver for this movie was a brilliant idea, by the way.